Network Installation and Free Estimate! Call 516-828-1418 now to schedule your free estimate. It’s quick, we can arrange it on the same day you call and there is no commitment! We have served all sized businesses, new and established ones here on Long Island for years. 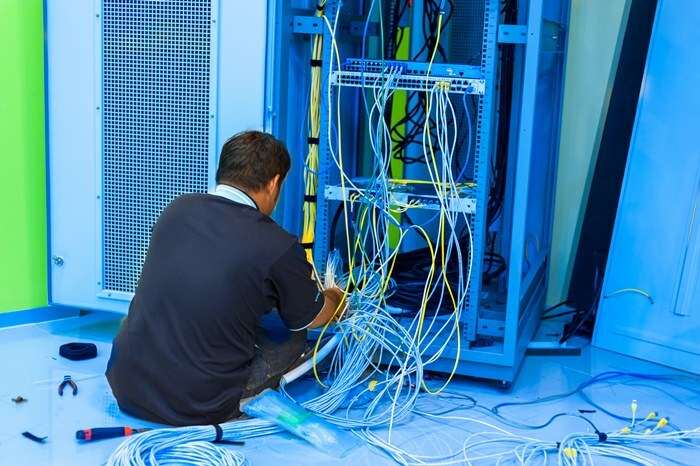 We are experts in network installation, set-up, repair, and cabling. We have worked with many businesses and have plenty of referrals, just ask us. We offer you a reasonable pricing, a lightning fast service, and reliability! We guarantee against defects in materials and workmanship. Network installation, server, and workstations wholesale, equipment upgrade from an older Windows edition like XP, Vista or 7 to Windows 8.1 or Windows 10. We always migrate your data securely over the new network during non-office hours if possible for a smooth transition. Reliability: if an issue arises, we will be there to take care of it. You are our number one priority! We consistently test and re-test all components and review all with you during a final walk-through. Call 516-828-1418 now and schedule your free on-site estimate for network installation and cabling services .